Last weekend I read this lovely book that I just had to share with you. It’s called ANGEL IN THE MOONLIGHT by Marie Patrick. It’s set in Arizona in the 1800’s and reminded me of the old television show Big Valley, only in this story la patrona is a young woman, Callie, whose family has been slaughtered. From the start, I felt for this heroine who made a promise to her dying mother to find those responsible for the brutal killings. "Determination" is Callie’s middle name, and she rides out in the dead of night dressed in black as the Angel of Justice, scaring all who encounter her masked figure. However, there’s a new Sheriff in town, literally, and Austin is determined to find the culprits and keep Callie from harm. Not an easy task, especially as his attraction for her grows while her lies multiply. But he is stubborn, having already failed one woman he loved, and he refuses to give up on Callie. 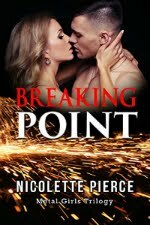 But when he catches her in a compromising position, his rage explodes, and he rescues her only to fall prey to her emotional needs and his own physical attraction. Now, he wonders if he can solve the horrific murders and protect her when he has lost all objectivity. 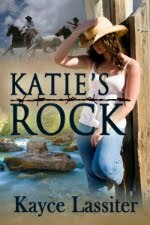 As Callie handles the ranch, the villains, and Austin, who becomes her husband before the last villain can find her, she learns the depth of her love and the depth of her hate. The danger and mystery, however, aren’t over until the mastermind behind the brutal attacks is found. But in the end, Callie and Austin find their happily ever after. 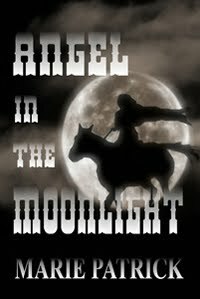 If you enjoy a strong heroine, with a good, but tortured hero, and a setting as vibrant as any old west movie, you will love this book. I know I did. Love a masked avenging angel, a woman at that. I agree with you Alexis. It was a great book. I was fortunate enough to get to read this before it was published, and love, love, loved it then! Congrats, Marie!! !